When kids are surrounded by junk foods in brightly colored packaging, unhealthy school lunches, and fast food restaurants on every corner, getting them to eat healthy can feel like an uphill battle. But even when it’s hard, healthy eating is incredibly important for growing kids. Young bodies need a wide range of vitamins, minerals and other nutrients to grow strong bones and teeth, develop healthy immune systems, and support normal brain development, and the most effective way to get those nutrients is through the food we eat. Children need a varied diet that includes fruits and vegetables, whole grains, and protein sources such as beans, meat and fish. Moderate amounts of dairy and nuts also contribute to a healthy diet, although not everyone can eat them due to allergies and food restrictions. While most parents understand the value of healthy eating and what a good diet looks like, getting their kids to cooperate is another story. If you’re struggling to get your kids to eat their vegetables, try adding these five tips to your approach. It’s hard to blame kids for not liking limp, mushy vegetables. When possible, opt for fresh vegetables for better flavor, texture, and visual appeal. If fresh fruits and vegetables strain your budget, purchase fresh selectively. Fresh green beans, broccoli, asparagus, and carrots are vastly superior to their frozen and canned counterparts, but frozen spinach, peas, corn, and berries can taste just as good as the fresh version. Rather than forcing kids to eat foods they don’t like — even if they liked it yesterday — offer choices. That doesn’t mean you should prepare individual meals on demand, but let kids have a say in what’s for dinner. As you plan the night’s meal, ask kids to choose between an offering of several vegetables. When it’s time to serve, dish out family meals so kids can exercise their preferences. As NPR reports, kids with choices are more likely to eat healthy. If your cupboards are stocked with sugary and fatty foods, that’s what kids will reach for when they’re hungry. Rather than keeping treats on hand, purchase healthy snacks like fresh fruit and bite-sized vegetables with dip. When you want to treat the family to something less healthy, buy only what’s needed for the occasion so you’re not keeping junk food on hand. Kids gain enthusiasm for healthy foods upon learning where they come from. Take your kids to the farmers market and let them buy their own vegetables. Many farmers markets also have free children’s activities that introduce kids to healthy foods. 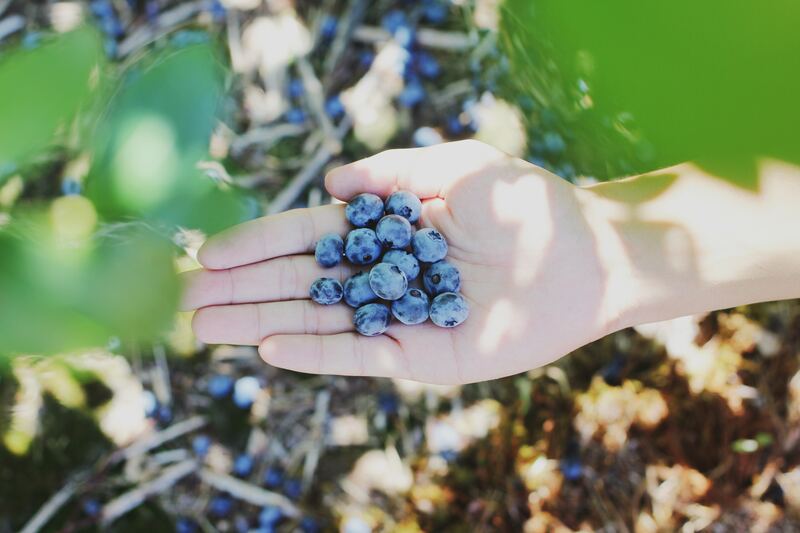 Some farms allow visitors or have U-Pick fields, so kids can get their hands dirty and learn about how food is grown. If you have the space, try planting a vegetable garden in your own yard and encourage kids to help plant, weed and harvest. Kids look to their parents for cues about how to behave. Make sure you’re setting a positive example by eating a healthy diet, refraining from negative body image and using positive language to talk about healthy foods. Rather than talking about foods as “good” or “bad,” discuss the health benefits of specific foods. When kids know that carrots promote healthy eyes, celery builds strong joints and muscles, and spinach boosts brain power, they’re more enthusiastic about digging in. For some parents, their children’s tastes aren’t the only obstacle to healthy eating. Healthy foods can be expensive compared to processed, packaged foods. However, it is possible to eat healthy on a budget. To maximize nutrients per dollar, shop for low-cost staples such as dry beans and bulk grains, purchase in-season produce for the best prices, and choose affordable proteins including ground poultry and beans over red meat. Make sure you’re not throwing money away by using the EPA’s tips to reduce food waste at home. It’s hard to keep track of everything your child eats daily. The more you can track this throughout the week, the easier it will be to ensure they maintain a healthy diet. Here is a great chart to help organize weekly meal tracking of your child. But what do you do while they are away at daycare? 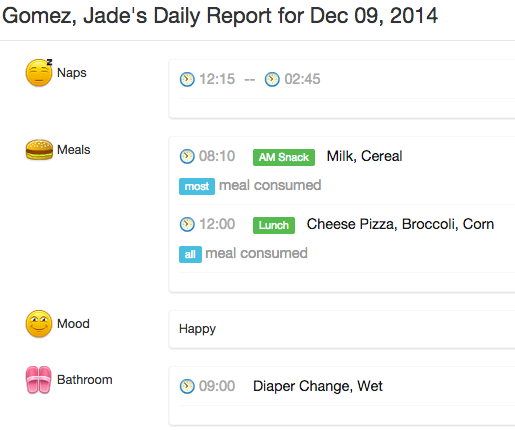 Luckily there are daily activity tracking apps, like Kinderlime, to help daycare providers track student meals directly on their phone, which sends you real time updates. With this app, daycare staff can make parents aware of what their child ate, when they ate it, and how much of it they finished. This will help parents keep children on track with their nutritional needs for the day. Getting kids to eat healthy is rarely easy, but it’s an important part of raising healthy, self-sufficient adults. As you adopt these practices in your home, remember to focus on the big picture. There will be days that your children subsist on crackers and macaroni, and that’s OK. Rather than feel guilty, focus on making tomorrow a little bit better. Written by Guest Blogger, Jenny Wise of SpecialHomeEducator.com. Check out her blog or here on Twitter!